It was a hot summer day in 2003. General Eric Shinseki, then U.S. Army Chief of Staff, was summoned to Washington D.C. to answer questions about the rapidly deteriorating situation in Iraq. Among other pointed questions, Shinseki was asked to estimate the number of troops necessary to end the war there, to which the general guilelessly replied “something in the order of several hundred thousand.” What the general didn’t know was that his honest reply would ultimately cost him his career. Rumsfeld had a track record of crushing dissenters, and it was no secret in the Pentagon that he and Shinseki didn’t get along. To let everyone know who was in charge, Rumsfeld named Shinseki’s successor more than a year before his scheduled retirement. But it was Shinseki’s “follies” before Congress during that hot summer day that broke the camel’s back. In a final act of impudence toward the general, civilian leadership from the Office of the Secretary of Defense was collectively absent from his retirement ceremony, a grandstanding stunt that was unprecedented in U.S. military history. General Eric Shinseki ended his military career of 43 years on an ugly, bitter note. I have followed Shinseki’s career on and off for a number of years now. His 1999 appointment as the U.S. Army Chief of Staff caught my attention because until then I had never seen an Asian-American at the top of the U.S. military food chain. 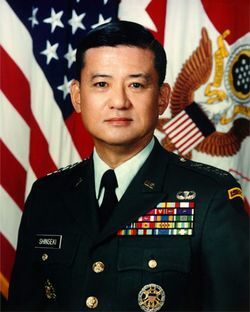 Born in Hawaii of Japanese descent, Shinseki graduated from West Point and rose to military stardom by earning two Purple Hearts for his valor in the Vietnam War. His appointment as army chief was a first for Asian-Americans, one that would eventually put him on front of Congress four years later to answer questions about the escalating insurgencies in Iraq. When I learned from the news the way he was thrown under the bus by Rumsfeld, it made my blood boil. I was reminded once again of the arrogance and injustice of the Bush administration. Fast forward to 2008. America had a new president and a new administration. Shortly after he took office, Barrack Obama went on a recruiting spree to build a cabinet, tapping political celebrities and former rivals alike, including Hillary Clinton as Secretary of State and Robert Gates as Secretary of Defense. 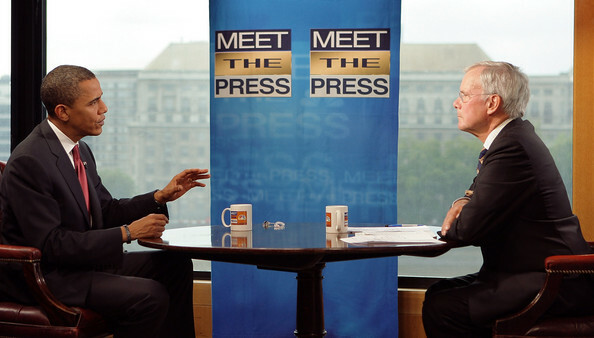 Then, on NBC’s Meet the Press hosted by Tom Brokaw, the president announced his choice of candidate to head up the Department of Veteran Affairs, the government’s second largest agency. [BROKAW]: He’s the man who lost his job in the Bush administration because he said that we would need more troops in Iraq than Secretary of Defense Rumsfeld thought that we would need at that time. [BROKAW]: And General Shinseki was right. In the end, the vindication of Eric Shinseki took all of three words from the President: he was right. Shinseki’s estimate of the number of soldiers needed to end the war in Iraq was borne out by hard facts. In early 2007, General Petraeus implemented the “surge” by sending in additional troops to stabilize Iraq, a move that was proven so successful that it became a centerpiece in John McCain’s presidential campaign. Five years ago, Shinseki left the Pentagon in disgrace, belittled by his political foes and wronged by his country. Five years later, he rose from the ashes and reemerged in Washington, stronger and more respected then ever. They say revenge is a dish best served cold. So is justice.